Finding the right talent starts with a simple conversation. Recruitment is constantly changing – from the candidates you need to the ways you connect with them. We’re here to help with innovative talent acquisition software, strategy and creative solutions. Check all of your areas of interest below and a TMP representative will contact you about your specific needs. In the meantime, take a look at the following Attraction & Engagement case study – see how we helped ESPN develop a comprehensive employer marketing strategy. 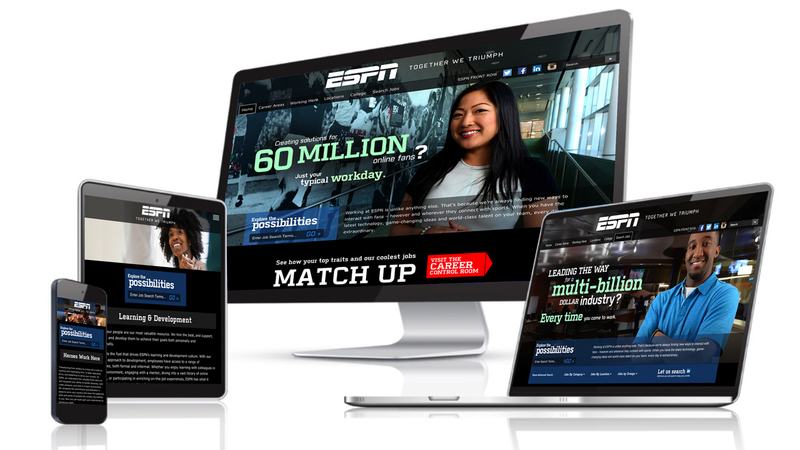 To help dispel misconceptions about their work environment, ESPN engaged us to develop comprehensive brand guidelines, messaging, target extensions and various advertising vehicles, including their career site. We always knew there was something special about our company...but TMP was able to articulate it and amplify our voice so everyone could hear it.